On Tuesday, December 5th there are two conflicting public meetings of interest to those who ride bicycles in the San Gabriel Mountains or the San Gabriel Valley. The other public meeting is to seek public input on the Draft Environmental Impact Statement (DEIS) for the San Gabriel River Confluence with Cattle Canyon Improvements Project. CORBA, through our involvement with the San Gabriel Mountains Community Collaborative, have expressed our full support for the project as proposed. This project will add much-needed trailhead improvements, interpretive and scenic trails, parking, bike racks, shuttle stops, multilingual signage, river access points and habitat restoration to this heavily-impacted area of the Forest. While not heavily used by mountain bikers, all of us who care about our Forest are supportive of these improvements. Tuesday, December 5, 2017, 6:00 – 8:00 p.m. This project will have great value to our community, as it will improve safety for pedestrians and cyclists accessing the Whittier BMX track, Whittier Narrows recreation area, and existing bike paths along the San Gabriel River and Rio Hondo. It is also close to the proposed Puente Hills Landfill, with its two planned and approved Bike Skills Parks. We can’t be at both meetings, but want to encourage those with an interest in either to attend these meetings and be engaged in the process. On August 17, the Forest Service released the remaining chapters of the draft Environmental Analysis (EA) and draft Management Plan. 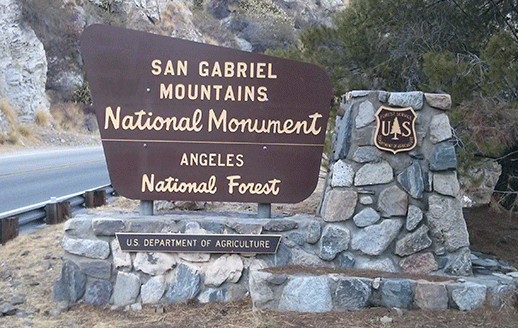 The plan will guide the management of the San Gabriel Mountains National Monument (Monument) by the Forest Service. The biggest changes are those mandated by the Presidential Proclamation, including the development of a Transportation Plan, to address parking and overcrowding. Nothing in the draft plan changes mountain bike access to trails within the Monument or the National Forest. It does however, update the current Management Plan to include the Pleasant View Ridge and Magic Mountain Wilderness areas which were designated after the current Forest Management Plan plan was last updated in 2005. Some sources have described the draft plan as “toothless.” It is short on specifics and lacks details of how many of the objectives and desired conditions will be achieved. However, it isn’t meant to cover specifics. Those are on-the-ground project-level decisions, that must be in compliance with the Plan. The draft Plan takes much of the current Forest Management Plan’s existing language and direction, which provides management guidance that was deemed to be in compliance with the mandates of the Presidential Proclamation. Therefore many of those sections weren’t considered to be in need of change. The Plan appears as Appendix C of the draft EA. That doesn’t mean that there isn’t room for improvement and more specific direction. 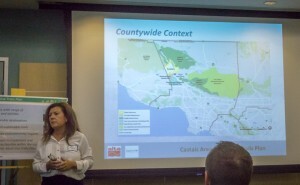 The San Gabriel Mountains Community Collaborative (Collaborative) is undertaking a deep analysis of the plan. CORBA will be submitting comments, and will also submit comments as a member organization of the Collaborative. We encourage all to attend a meeting or the online webinar and submit comments, expressing your support for continued and improved mountain biking recreation. The Collaborative have requested that at least one of the public meeting presentations be recorded and made available online for those whose schedules don’t allow them to attend one of the public meetings. The Forest Service aims to have the final plan, addressing any comments received, next spring, followed by a formal objection period for anyone who submitted comments and believes they were not addressed. The proclamation mandates the plan be completed by October 10, 2017. Last night, September 17, 2015, LA County held the second in the series of planning meetings announced last month. Last night’s meeting was well-attended by mountain bikers, but also by local residents who are concerned about trails and fire roads through their properties at Tapia Canyon and other locations within the study area. It was made clear at the meeting’s outset that the County trails policy is multi-use, and that nothing in this process takes away any property owners’ rights. Just because a trail is drawn somewhere on this plan doesn’t mean it will be constructed exactly where it is drawn, or that it will be constructed at all. It will guide the County’s planning efforts for future growth. Disrespectful and illegal behavior by a small non-representative group of riders has tarnished the image of mountain bikers in the area, while at the other end of the spectrum the NICA SoCal League teams in the area have done an outstanding job of representing our sport responsibly. 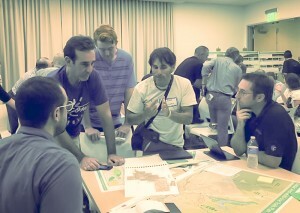 About 50 people gathered around four tables packed with maps to point out where there are important existing trails, brainstorm on where they’d like to see new connections and access points, and what types of features they’d like to see at a bike skills park. Property owners pointed out where their properties are on the map, and expressed valid concerns about trails that pass through their properties. Some important issues came up, such as the preservation of iconic and unique trails in the Tapia Canyon area, access to Forest Service and Tapia Canyon blocked by the Tesoro development, and potential impacts of the Hidden Ranch at Tapia Canyon Development. It is these and other development proposals that have prompted the County to take on this important planning task. There are more people coming to the Castaic area, more homes, more business, more kids on bikes and more demand for recreational trails. 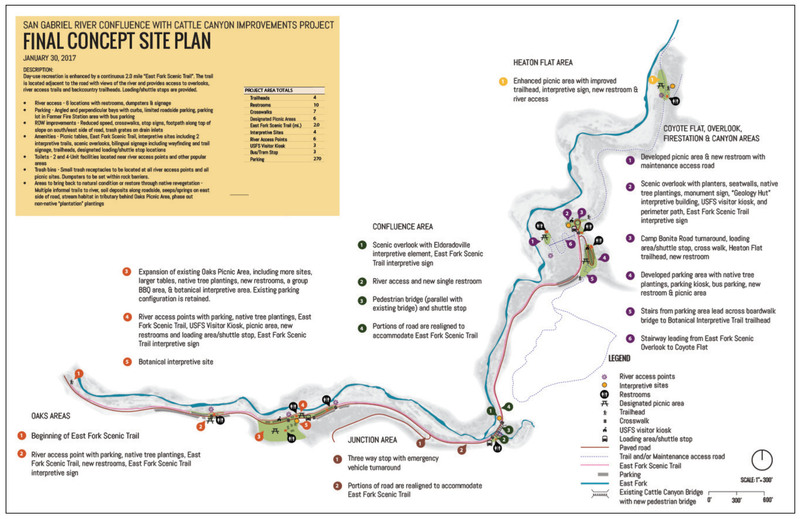 For example, there’s strong demand for a regional-quality bike park facility at Grasshopper Canyon in the Castaic Lake State Recreation Area, as proposed by CORBA some time ago. We’d like to go big, including tot, beginner, intermediate and advanced pump tracks, progressive dirt jumps, a downhill flow trail, a permanent cyclocross/XC training and racing track, dual slalom tracks, four-cross course, progressive dirt jumps and skills areas. We’d also like to see smaller community pump tracks at easily-accessible locations through the area. A long-distance, multi-use trail around Castaic Lake including access to secluded bays and beaches. Trail connections from the Sports Complex to Castaic Lake SRA and to Charlie and Wayside canyons. Continued access to Tapia via Wayside/Junkyard through the Hidden Ranch at Tapia development. Preservation of iconic and unique Tapia trails such as Dog Tag, G-Out and others. What else would you like to add? You can still let them know. The County understands that many people are unable to attend public meetings, or need more than just a meeting to consider their needs. An online Interactive Map allows members of the public to draw in where they’d like to see trails, bike park facilities or trailhead facilities such as parking, bathrooms and water fountains. This new planning tool also allows the public to upload gps tracks of existing trails. However, the interactivity goes both ways, once something is added to the map it becomes part of the public record that others can see an comment on. There are two more meetings scheduled, aimed at the hiking and equestrian communities respectively, though all meetings are open to all members of the public. If trails and bike parks around Castaic and Santa Clarita Valley are important to you, visit http://castaicmultiusetrails.org to see what others are asking for and share your own thoughts with the County and planning consultants. On Wednesday evening, February 8, 2012, a packed house was far more than the Conejo Recreation and Parks District was expecting. But they were very pleased with the turnout, and encouraged to see so many local residents take an interest in the future of this large, but undeveloped park. The Lang Ranch Community Park appears on the District’s Master Plan and has already had its own master plan drawn up. The plan included numerous wonderful improvements, but the reports of geologically unstable ground made the cost of implementing this plan beyond feasible. The cost of stabilizing the park’s sloping hillsides–a necessary step before any improvements could be made–proved prohibitive. The plan had to be retired and a new one envisaged. This meeting was to gain public input on what could be done with the park without major construction, without digging, without the need for water. After this history and the given parameters the attendees were divided up into nine groups, each to discuss what they’d like to see in the park. A facilitator from the parks department took notes on easel boards, listing the table’s priorities. Each group then assigned a spokesperson to summarize the groups wishlist. A common theme among all the groups was the call for a pump track/bike park/dirt jumps and trails. This was probably helped by the last minute efforts of local bike park advocates putting out the word through facebook and other social outlets. It was referred to as a Bike Skills Park, a Pump Track, a Dirt Jump Park, a Mountain Bike park, but the common thread was there: a facility for off-road bicycles. Also high on the suggestion list were trails, connectivity to Conejo Open Space trails, off-leash dog park, radio-controlled car and plane facility, landscaping with native plants, disc golf, playground facilities, picnic benches, bathrooms at the one place in the park that was deemed suitable for construction, through-trails/bike paths to connect students at the neighboring residential areas to the school at the western end of the park, and many other options. The parks staff were notably pleased with the input. Subsequently, on Saturday February 11, a second meeting took place during which interested parties walked the park property with parks staff to discuss the possibilities. 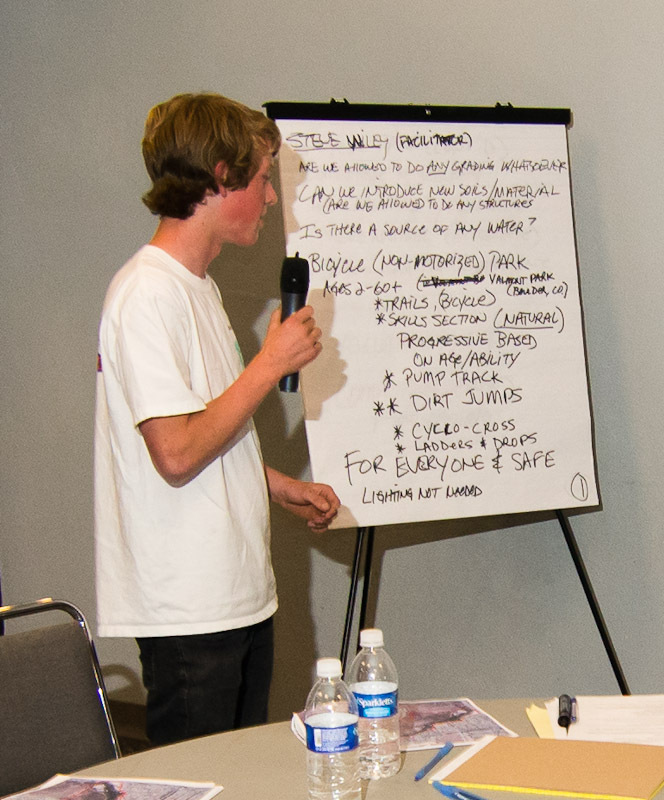 While fewer people attended this, some key proponents of a bike skills park were there to ensure the City continued to hear of the desire for a bike park facility. Over the coming weeks and months the parks department will be distilling the key requests from the public into an updated vision for this Community Park and inviting more feedback. The next meeting is on February 29, 2012, 7 – 9 pm at the Hillcrest Center Community Room, 403 W. Hillcrest Drive, Thousand Oaks, CA 91360. This meeting is listed as a “Brainstorming and Bubble Diagram” event. The public will be asked to put their ideas on maps of the park property. On March 21, 2012, also 7 – 9 pm at the Hillcrest Center Community Room, CRPD will be reporting back to the public on what they’ve garnered from the public’s input, and their recommendations. There may be additional meetings so stay tuned for further announcements. If you are unable to attend the meeting, you can email your input to parks@crpd.org. 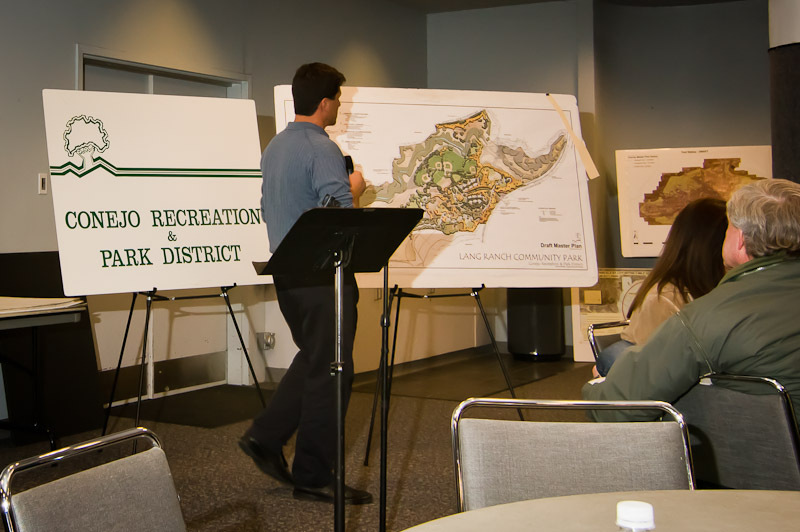 We’re especially pleased that the Conejo Recreation and Parks Department is reaching out to the public, and engaging people directly in this early stage of the planning process. While a Conejo Bike Park is not yet a done deal, it seems that the idea is alive and well and has a good chance of becoming reality. We urge people to stay involved in the process and keep pushing for a bike park. Opportunities like this don’t come very often, especially right here in our own back yards… or city parks. For more information, follow the progress on facebook and at the parks department web site, www.crpd.org. The California Department of Parks and Recreation (CDPR) has directed the preparation of and intends to adopt an Environmental Impact Report (EIR) for the proposed project, in compliance with the California Environmental Quality Act (CEQA) and State CEQA Guidelines. CDPR is the lead agency for the proposed project under CEQA. PROJECT LOCATION: Topanga State Park is a CDPR park unit located within Los Angeles County. DESCRIPTION OF THE PROPOSED PROJECT: The General Plan directs the long-range management, development and operation of Topanga State Park by providing broad policy and program guidance including goals, guidelines and objectives for the management of the Park. The plan will set aside a number of management zones including; a I/Ihldlands Zone constituting over 70% of the Park’s acreage that shall contain minimal development with modest camping opportunities; a Cultural Presen/e to heighten the interpretation and protection of outstanding cultural resources; a Historic Zone whose core includes the former Rancho Las Lomas Celestiales (now known as Trippet Ranch); as well as other zones for resource management, visitor use and accessible interpretive and recreational programs. The Plan also contains specific proposals to consolidate the Park’s trail system through eliminating duplicate trails and relocating trails away from sensitive resources. California State Parks is inviting the public to the third public meeting for the Topanga State Park General Plan. The purpose of this meeting is to present the single (preferred) plan and support materials. After the presentation, the General Plan team, comprised of CSP landscape architects environmental scientists, historians, archaeologists and park staff will be available to discuss this preferred plan. 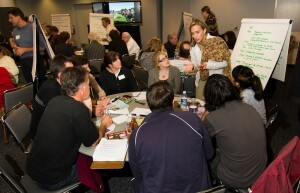 The single plan was developed with the input received at the first and second public meetings held in September 2009 and July 2010. Following the third public meeting, the General Plan team will prepare the preliminary General Plan which will then be available for public review and comment as per the California Environmental Quality Act (CEQA) process. After the completion of the CEQA process, the General Plan Document will be presented to the California Parks and Recreation Commission which will entail a public hearing process including additional opportunity for public comment. A General Plan is mandated for state parks units by the Public Resources Code. The plan becomes the primary management document for a unit of the State Park System, establishing its purpose and management direction for the future. The plan does not provide specific physical designs but does provide a vision for the park and guidelines for future development.